Many years ago when we lived in Seattle we attended dinners, potlucks and picnics. On one special occasion we were invited to a young Cambodian couple’s wedding. We attended the dinner prior to the wedding. I ate the best rice I have ever had and it remains my all time favorite rice. A nice lady who made the rice told me it was of Malaysian of Cambodian origin, so I pass this on not knowing but telling you it is amazing! Cut beef into small pieces and chop garlic. 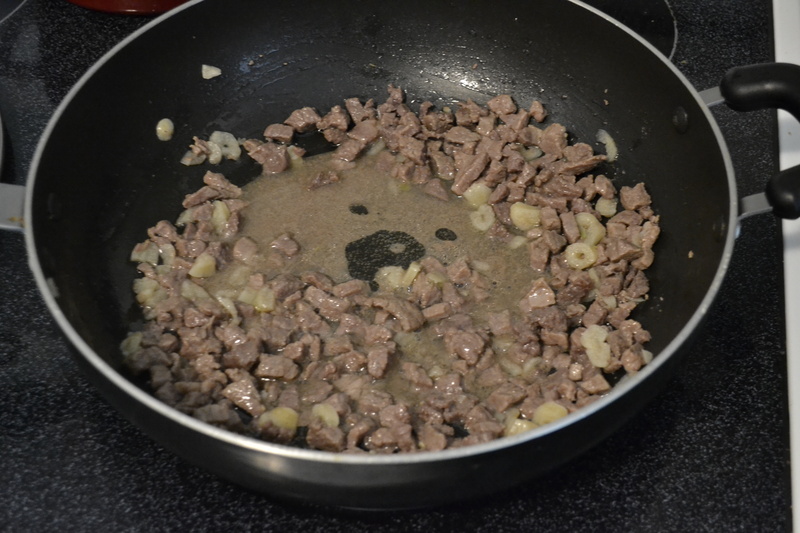 In a pan, put olive oil and garlic, saute for a couple minutes and add beef, continue stirring and saute. Cover pan and let beef cook. 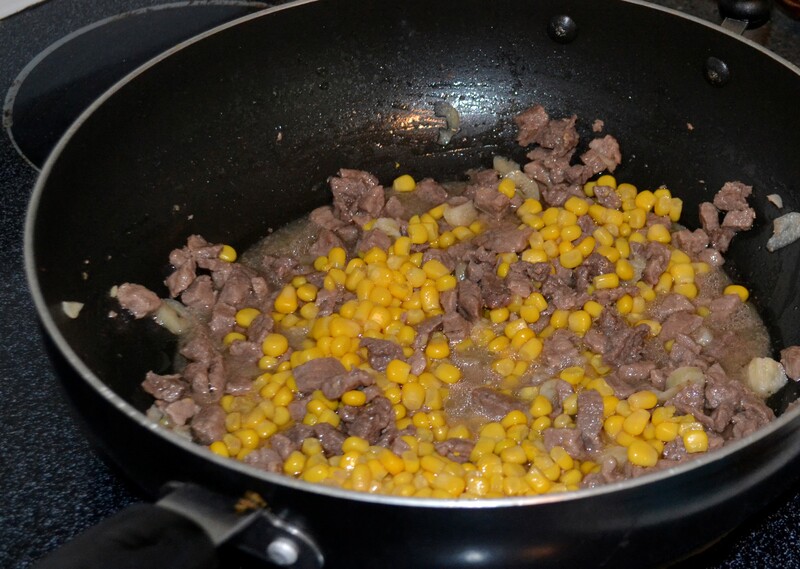 After beef has cooked add corn (drained) and water. Add salt and sugar. Let this boil, turn down heat and cover. 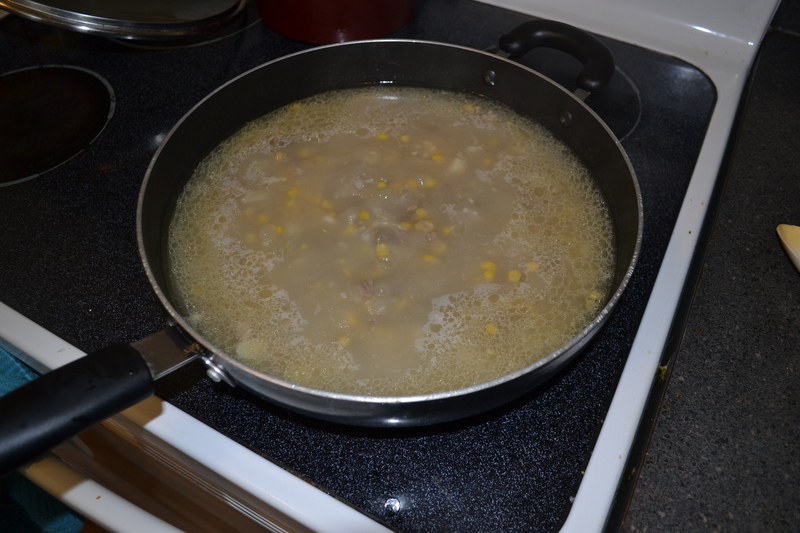 Let this mixture simmer for around 30 minutes, make sure to cover it so water doesn’t get low. Turn off heat. Add salt and sugar to taste. The water needs to be a nice mix of sweet and salty. I usually do not measure but tried my best to so hopefully this will work well. Bring to a boil and add the rice. 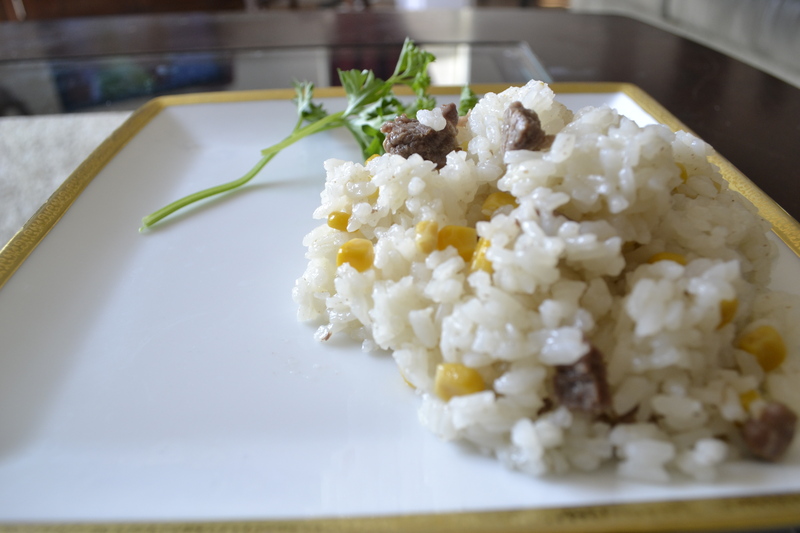 Stir rice and turn to low, cover and let cook until rice is cooked. Again, I did my best to give measurements but have never measured before! This is amazing rice!